After a hugely successful season delivering our Future Stars Development Centre, we are pleased to announce we will be running 3 grading sessions throughout the Summer for the 2016/17 season. The development centre grading sessions will be delivered on Saturday mornings at Parkgate Astro. The sessions will be FREE for all participants, and will be to determine which players will be invited into our development squads for next season. The grading sessions will start on Saturday 30th July, with an additional two sessions on Saturdays 6th & 13th August. We are hoping to see many of the children that we have worked with this year, either from the squads or community based sessions, but we are also hoping to see lots of new faces coming to join our growing development centre. Any players that don’t make it into our development squads will be invited to our open development sessions which will begin on September 10th. Development Sessions (U5/U7/U9/U11/U13) – These sessions are for players of any ability, from new starters to children who play grassroots football, players will receive high quality coaching in an environment which encourages them to enjoy their learning and to improve their skills set. 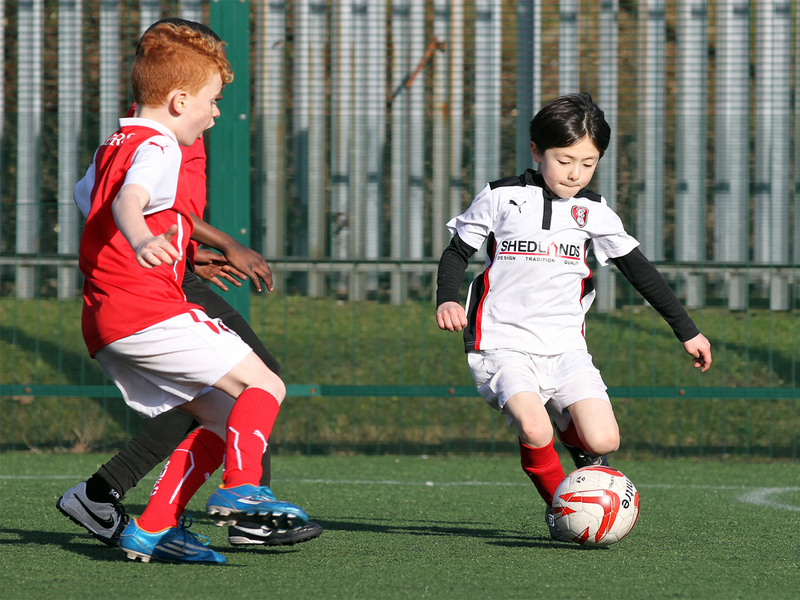 Squad Sessions (U7/U9/U11/U13) – Players are invited into our Future Stars Squads by the coaching staff via the development sessions, or by taking part in summer trials. These sessions will be structured similar to our clubs academy and being a part of our squads will include a games programme where teams will play development matches against RUFC Academy, various private academies, and grassroots clubs. If you would like to find out more information please contact the Sport Development team on sportdevelopment@rotherhamunited.net or alternatively Phone James Rawlinson on 07538 549061.